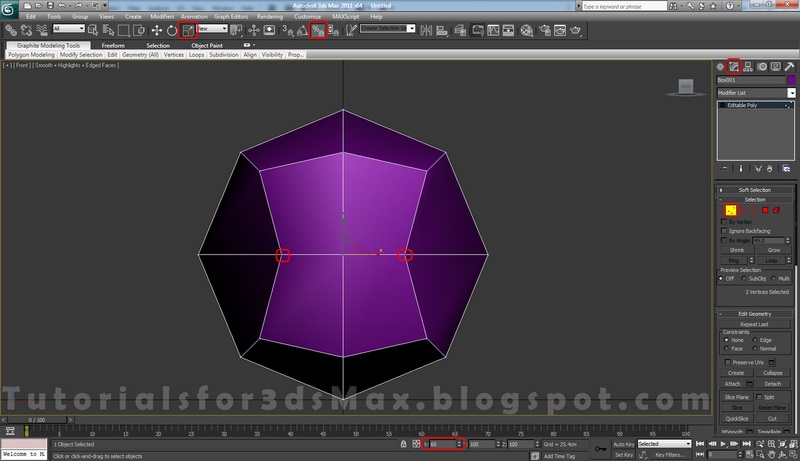 Step 1: To start this 3d modeling tutorial open or rest Max. Form Create, Geometry create a Box with the Length, Width and Height of 10cm and change Length, Width and Height Segments number to 2. Step 2: In the Modify tab from Modifier List apply a Spherify modifier and convert the box to Editable Poly. Right click on the screen, Convert to>Convert to Editable Poly. 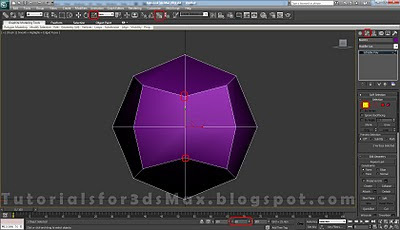 Step 3: From the Modify tab select the Vertex selection mode, go in Front view(press "V" on your keyboard to switch between viewports) and select the 2 vertices i've marked below. Click on Percent Snap Toggle to activate it and using the Select and Scale tool scale down the vertices in X axis direction until you see 60 in the bottom of the screen. Step 4: Now in the Back view do the exact same thing only this time in the Y axis direction. Step 5: In selection rollout menu select Edge and select the edges i've selected below holding CTRL. Step 6: With the edges selected click on the little box next to Chamfer in Edit Edges rollout menu. Chamfer the edges with an amount of 0.25cm and 1 segment. Click the check mark for OK or click the plus sign(apply) because we will chamfer the edges again in the next step. Step 7: With the edges resulted from chamfer still selected apply another Chamfer only this time change the amount to 0.05cm. 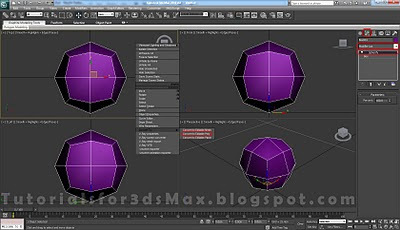 Step 8: Continuing with this 3d modeling tutorial from the Modifier list apply a Turbosmooth modifier and change the Iterations to 2. Step 9: Now apply a Spherify modifier. 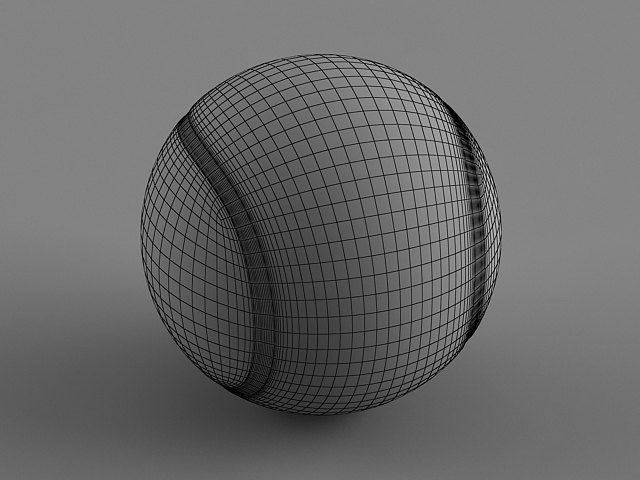 Note: You should exit selection mode if the Spherify modifier doesn't work. Step 10: To continue this 3d modeling tutorial apply a Edit Poly modifier. Step 11: In Edit Poly modifier select the Edge selection mode and make a Loop selection like i've did below. 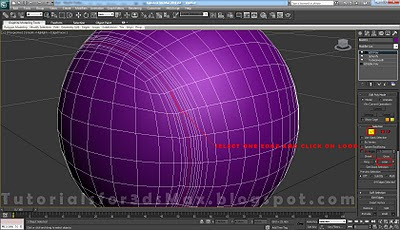 Select one edge and click on Loop. Step 12: We now must convert our edge selection to Polygons. 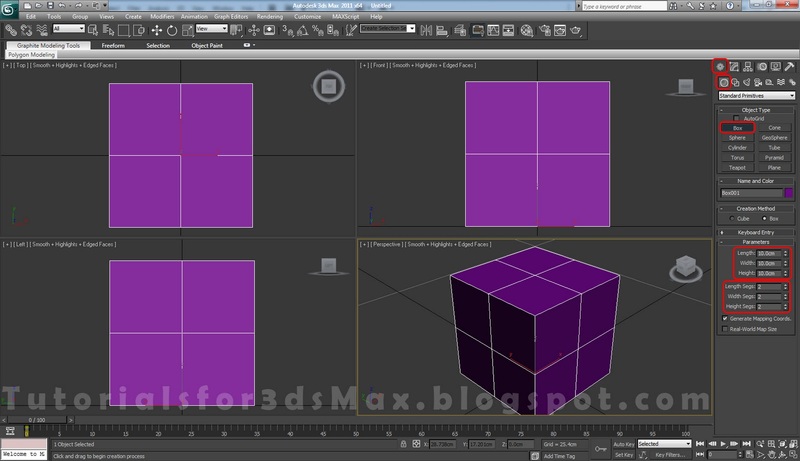 To do this simply hold down CTRL and click on Polygon icon(red square) in selection rollout menu. Step 13: To grow the selection click Grow 2 times. 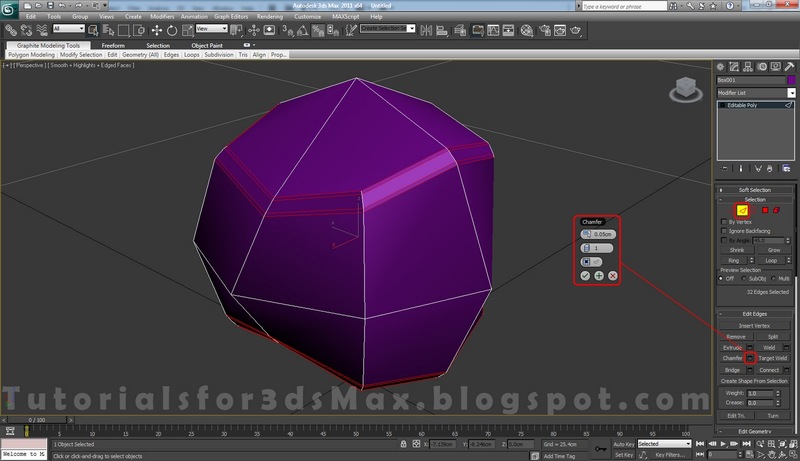 Step 14: Now click on the little box next to Extrude to extrude the polygons with an amount of -0.025cm. 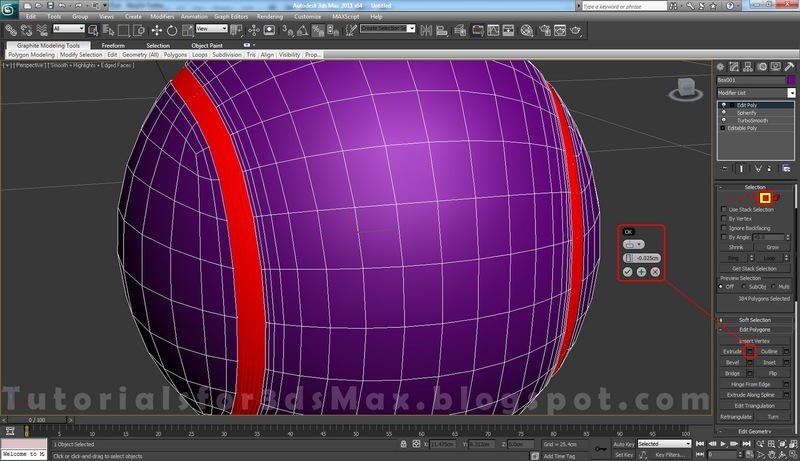 Change the extrusion type to Local Normals and click the check mark for OK. Step 15: For the final step of this 3d modeling tutorial just add another Turbosmooth modifier. That's it. 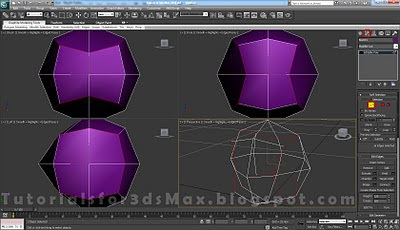 This was our 3d modeling tutorial. 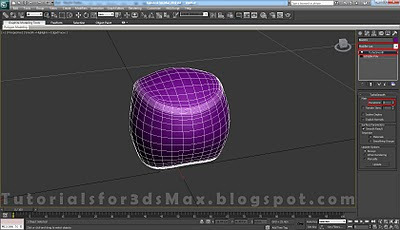 Leave a comment if you have any problems following this 3d modeling tutorial. I never tried to create such scenes. 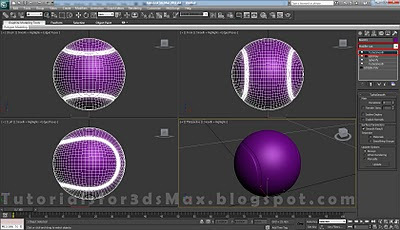 GRACIAS ESTÁN MUY BUENOS SUS TUTORIALES, NO SE COMO DARLE LA TEXTURA A LA PELOTA DE TENIS. 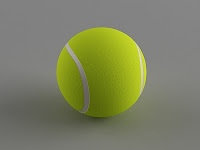 So load a VRayMtl in your material editor, change the color to yellow/green, after that go in Maps rollout menu, and click None next to Bump, there add a Noise map, low the noise size and the Bump amount and apply the material to the ball. After the troubles. . .
All the best from Portugal!! 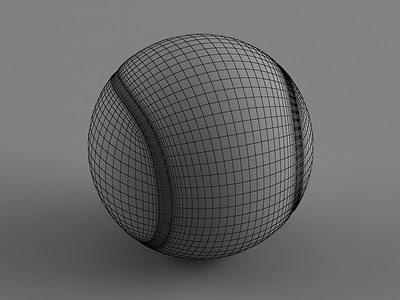 Can you post a little tutorial, how to render in wireframe has your modeling results. Of course, i will make such a tutorial in the next day. I don't have VRayMtl, Standard should work just fine right? 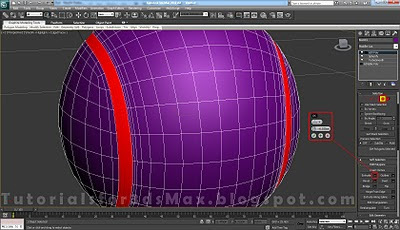 I'm also having a little issue when applying my material. I try to apply it to a selection of polys, but it applies it to the entire object instead, what am I doing wrong? Anyone can give a more detail explaination? Stuck after i cant apply spherify modifier. As i said in the Note you should exit selection mode before applying a Spherify modifier. 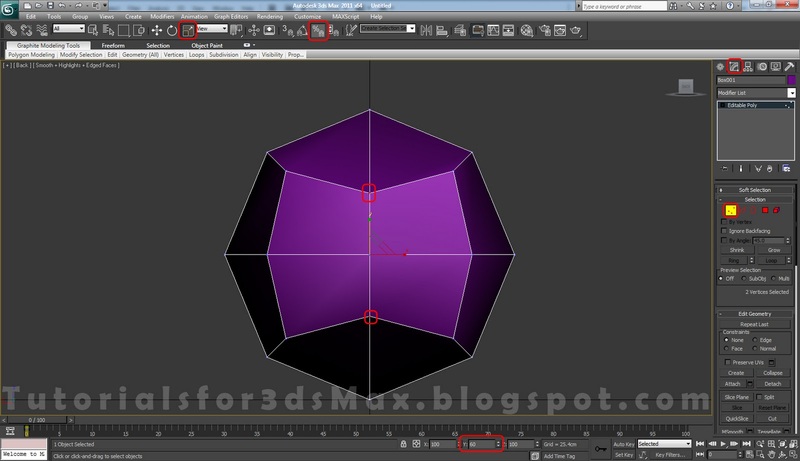 This means when you click on the Modifier list to select the modifier your selection mode should be none. 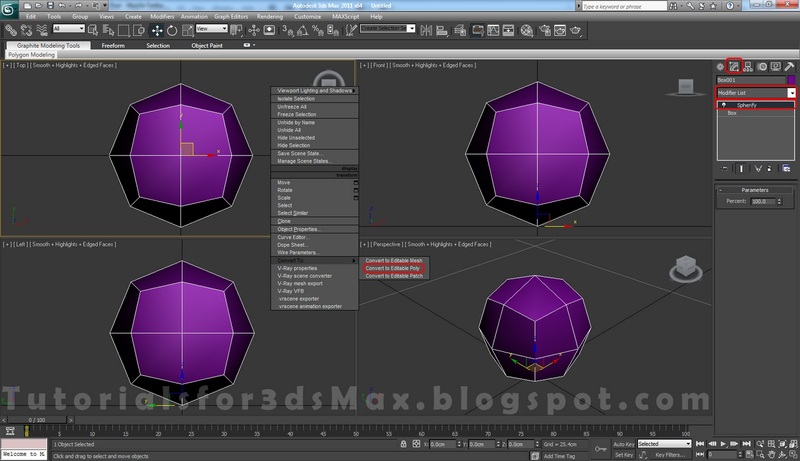 Again, just click on Editable poly before applying the modifier. @JPile, sorry for the late response mate, but i was busy with the holidays, new year and stuff. Anyway, try converting you ball to editable poly once again and after that try to apply the materials. This should work. Regards.